Spend at least RM100 in a single receipt at any participating outlet at Resorts World Genting within the contest period. 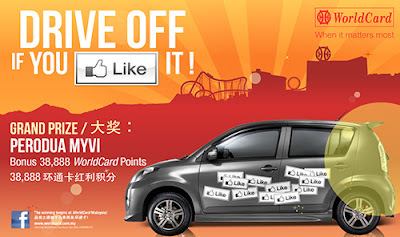 Go to WorldCard Malaysia FB page & complete the contest form with a creative slogan. or Complete the contest form & drop the form into the contest box at Membership counter, Casino de Genting. To double up your chances of winning, strike a creative pose and snap a photo of yourself at the photo booth. Then upload online. Visit WorldCard website for more details.